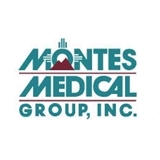 Montes Medical Group (Whittier) - Book Appointment Online! We pride ourselves on offering our patients a comprehensive set of health services focused on maintaining good health, overcoming illness, and achieving the peace of mind that we all deserve. Our physicians and staff have many years of experience serving the greater Los Angeles area and have developed strong ties to the community both professionally and personally. Our staff is bilingual in English and Spanish and is capable of coordinating all your health care services, including the referrals that may be necessary to address your specialized health concerns. Dr Tran is a very good doctor.